This coming May 28th will be the fourth anniversary of Apple's $3 billion purchase of Beats Audio. Nearly four years later, this is still the biggest deal ever done by Apple. As part of the transaction, Beats co-founders Dr. Dre and Jimmy Iovine joined Apple to help run the latter's Apple Music streaming music operation, and the Beats 1 streaming radio station. Both men received a nice sized restricted stock package from Apple. Iovine's shares will vest in August. According to Hits Daily Double, that is the month when the 64 year old music executive plans to leave Apple. Iovine has helped Apple become the number two music streamer after Spotify, with 30 million subscribers. Spotify has 70 million paying customers. 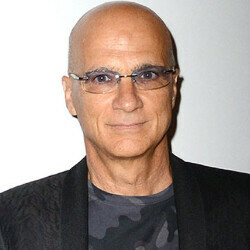 Iovine has been responsible for selecting the content that streams from Apple Music, and has developed some of the original programming offered. Having worked with a number of superstars from different musical categories, Iovine's well rounded musical knowledge was perfectly suited to the job that Apple gave him. And while he is already set for life, once Iovine sells his vested Apple shares, he stands to add millions more to his personal wealth. That would seem like a propitious time to leave Apple and take time off to enjoy the fruits of his labor. However, back in September, he talked about a desire to solve problems in the streaming music industry once he leaves Apple. Iovine once pitched a streaming music service to Apple co-founder Steve Jobs, whom he met in 2003. He also was a big fan of iTunes and the iPod. While at Apple, he did not have a specific title, which means that it isn't clear whether he will be replaced by the tech titan. Sounds like trouble in paradise. Apple music will never be #1 why? Bc Android market share is >80% worldwide. Let's say I'm an Android user why I need to sign up with Apple music? There are many streaming music options on Android including free. One more annoying thing if I buy a song from Apple music then I have to go through crappy iTunes. So no no it doensnt matter how good Apple music. Buy a song? Are you crazy? We are talking about Apple Music which is a streaming service.